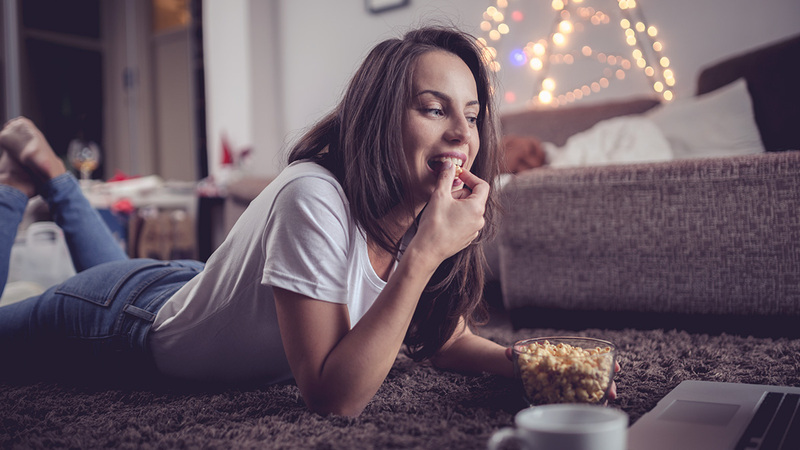 You have cozily settled on a couch, dimmed the lights and got some snacks – yep, sounds like you’re all set for some Netflix and chill. But here comes the tricky part – what should you watch? You want something specific, but you don’t know what exactly. A retro comedy from the 1980s? A scary movie featuring sharks? Or a classic thriller? Probably we all have been there. Browsing through the general categories doesn’t make it any easier and trying to find a goldmine can kill a great amount of time. Good news is, there is a hack – Netflix secret codes. What are Netflix secret codes? It appears that the extensive Netflix library is categorized into micro-genres. You have probably encountered those among your recommendations as personalized picks. However, it is not that easy to access the content you see suggested on your home screen by simply browsing through the broad genre categories. In fact, Netflix has tens of thousands of extremely precise sub-genres that go far beyond the general lists, such as Comedies, Dramas or Thrillers. What do you think about picking something from Heartfelt Tearjerkers, Campy Zombie Movies, or Film Noir instead? Or, maybe something from Mind-Bending Fantasy Movies, Quirky Independent Movies Based on Books, or Scary Italian Crime Movies from the 1970s? The number of options available is truly mind-blowing. Netflix has more than 70,000 micro-genres you never knew existed. But how did the streaming service provider manage to organize its content to the very extreme? Here’s for the curious ones: there is a combo of human intelligence and machine intelligence involved, the story published in The Atlantic reveals. As it appears, Netflix hired a bunch of people to watch, rate and tag nearly all TV shows and movies imaginable. It was all about gathering metadata about every piece of content: movie endings, plots, featured locations, jobs of the main characters – almost everything and everyone had to be tagged. They even created documented guidelines, called “Netflix Quantum Theory,” to assure the integrity of the assessment. Thanks to the “altgenres,” Netflix can offer you highly personalized content on your home screen. Luckily, you can make use of it the other way around – getting a richer and neatly organized selection of shows by unlocking the secret Netflix menu of categories. And, once again, there are tens of thousands of “altgenres” like these. Knowing their numbers will change the way you watch Netflix forever. How to use Netflix codes? This hack works only on the browser version of Netflix since you have to modify the website URL to access the hidden categories. Start by logging into Netflix on your browser. Pretty easy, isn’t it? All you have to do is run your eyes over the category list until you find a genre that looks like a perfect fit for your Netflix session. It is important to mention that not all codes may come up with results. The algorithms of the streaming service giant are ever-changing, so you shouldn’t be surprised if some of the codes stop working at some point. Or, there might be regional differences in terms of the content available. However, the alternate genre list is really huge, so we’re sure you will find something worthy. Below you will find a list of the main “altgenres” with the corresponding codes. Or if you want to dig deeper, you can check out the extended selection here. Happy binge watching!